In a previous post I have discussed the importance of a hook to get pupils interested in a lesson or series of lessons. 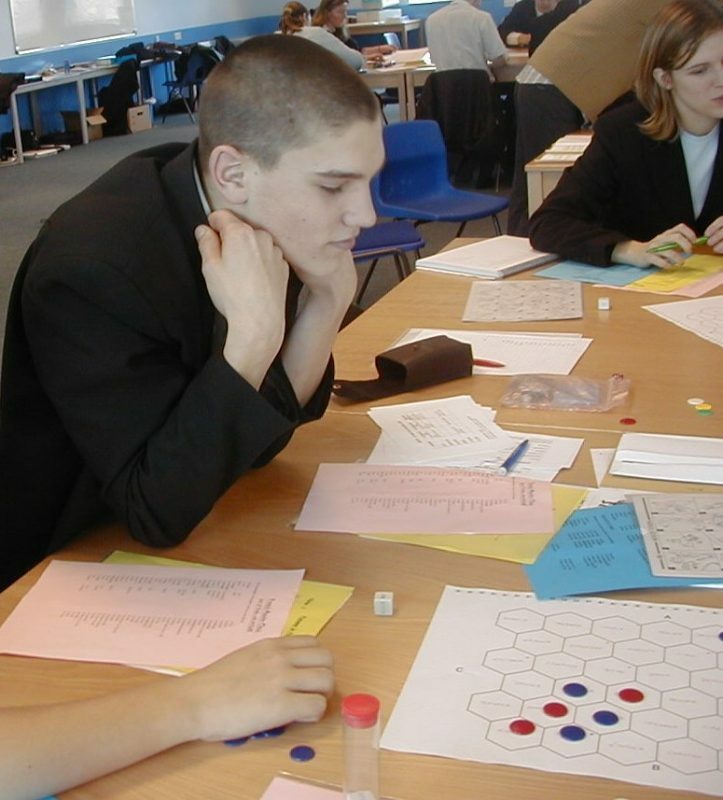 In this post I am discussing the use of games in lessons. Research from a range of disciplines such as engineering, drama studies, virtual learning studies demonstrate that educational games are great to motivate students and thereby help pupils engage with difficult concepts (for example, see Munz et al., 2007). If you try out games and role plays you will indeed observe that pupils engage more in games. However, the danger is that teachers invest time in creating fun games and interesting hooks and the actual learning objective or purpose becomes lost in the process. Which games shall we play in lessons? As always in teaching you can be as creative as you can be when creating games. Old-fashioned board games like “Snakes and Ladders” or “Battleships” are as exciting to play as modern, digital games like “Minecraft” or simulation games. When shall we play games? As stated earlier in this post the prime focus needs to be the learning. We should never introduce games just for the sake of making a lesson more enjoyable. Ultimately, we are teachers and not entertainers. However, sometimes, when practice is needed, games can provide more welcome repetition than worksheets. 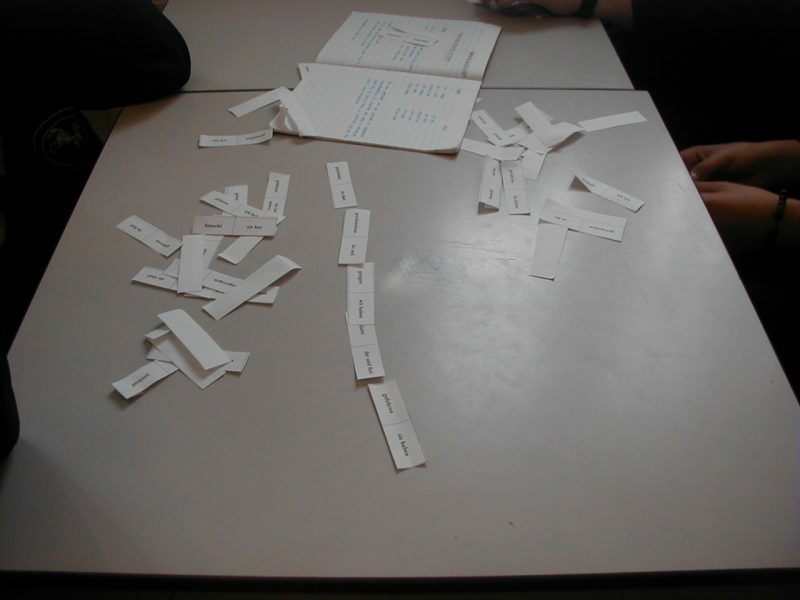 In Modern Foreign Languages, for example, pupils need to practise the formation of tenses, and this may be done with a game of dominoes, where verbs are presented in their present and past tenses and need to be matched up accordingly. How do I know if a game is useful or not? Often, it is not entirely obvious if games work and move learning forward or not, unless you have tried them out. I would never discourage anyone from trying new ideas, methods and games, but it is crucial to be very rigorous in the evaluation and reflection after the lesson (see my previous posts for more information about reflective practice). The main questions you must ask yourself are “did pupils learn?”, “what did pupils learn?”, “did pupils learn better with the game?”, “did the learning meet the lesson objectives?”. If the answers to these questions are not entirely favourable, you may adapt the game and try the lesson with another class. But if the answers are still not favourable after a second try, then you should have no qualms about ditching the game altogether. Games are only useful if learning is moved forward. What do I need to consider when playing games? In addition to the purpose of the game, we also have to consider the dynamics in the classrooms. Some classes are very dynamic and may be too boisterous for physical games, whilst other classes may not enjoy the sedentary games of dominoes, but a more embodied version of it. This is in a way quite similar to the issues I have raised in my post about artefacts, where I also highlight that you need to know what you are comfortable with. Throughout my life I have played games, and I still enjoy a games afternoon with family and friends. 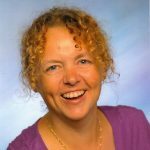 Therefore, I have always included games in my lessons and from the beginning of my teaching career I have played language versions of “Monopoly”, “Dominoes” and “Battleships”. I still introduce “Running dictations” as team-building exercises in training sessions, but also as a strategy to teach all skills (reading, listening, speaking and writing) in Modern Foreign Languages. Nowadays, I really like to watch games shows on television and recreate interesting games from there. Only Connect is a great example for playing a meaningful game in lessons, as the game is all about finding connections and links between key terms and concepts. Munz, U., Schumm, P., Wiesebrock, A. & Allgower, F. (2007). “Motivation and learning progress through educational games”. Industrial Electronics, IEEE Transactions on, 54(6), pp. 3141-3144. 2 Comments on "Playing games in lessons"
Thanks for a wonderful post as usual. While I do agree with you that using games in the classroom should have learning objectives and shouldn’t be used just to entertain the class, however, some time I think it’s OK to use games just for fun or relaxation (instead of physical exercise when students feel bored or tired) to give students extra energy which might not necessarily have connection with the class aims and objectives. Thank you, Nazrulo. I agree, there must be some space for fun in the classroom. I am just concerned that sometimes fun and games take over and the content of lessons and the curriculum gets lost. I think it is important to strike a good balance.